The only route that approaches Kilimanjaro from the north, the ascent profile and conditions are very much in similar to Marangu. It is a fairly easy route and climb to the top is steady and gradual. Moreover, the crowd has fewer tourists and it passes through remote wilderness areas. Rongai also offer game viewing opportunities from the first day itself. The route takes six days minimum to complete, although seven days is recommended. The descent is down Mweka, on the south-east side of the mountain. Because the starting point is far from Moshi, it is more expensive to climb this route due to the added transportation cost of getting climbers to the gate. Rongai is scenically beautiful and it passes through a range of unspoilt rainforest and wilderness area which is remote. However, it trails behind Machame, Lemosho, and Shira when it come to scenic beauty. 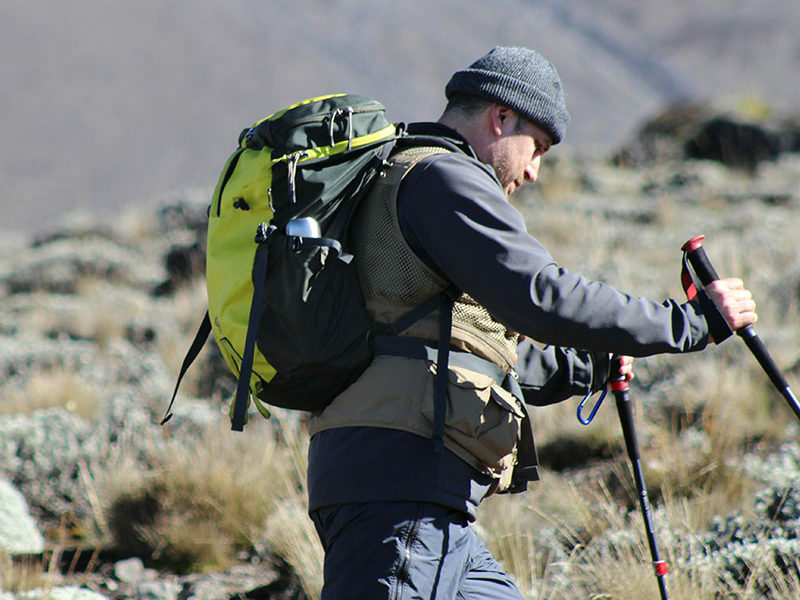 Rongai route suits inexperienced hikers who want to avoid the busy traffic of other Kilimanjaro routes at the same time. As the northern side of the mountain receives less precipitation, Rongai route which also lies on the northern side is preferred during rainy season. Please be ready by 8:15 AM for a prompt departure at 9:30 AM. 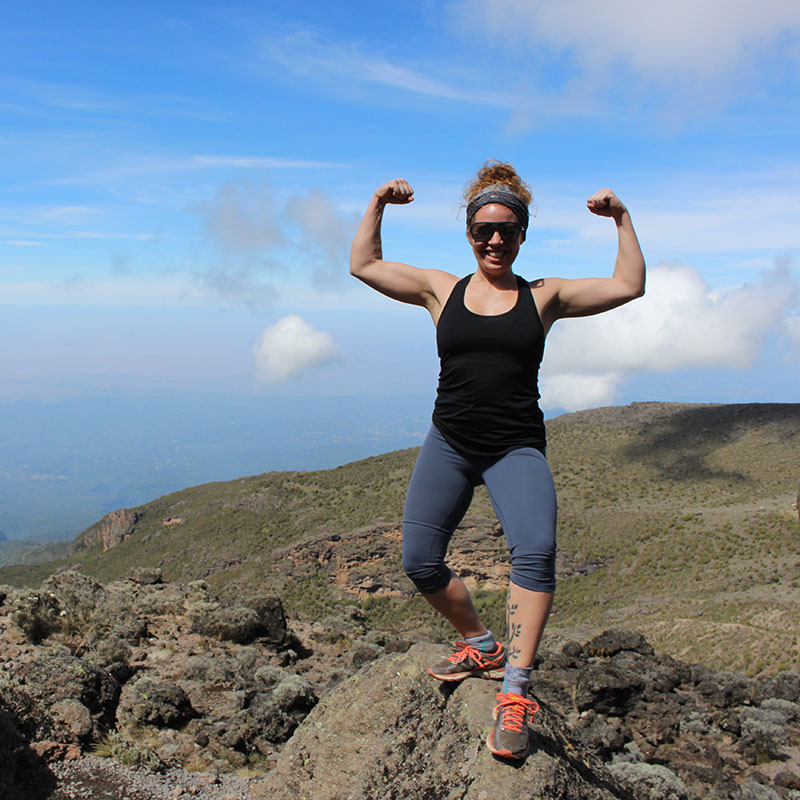 The Rongai Route is the only trail that starts from the Northern, or Kenyan side of Mount Kilimanjaro. Because of its remote location the route offers trekkers a relatively unspoiled wilderness experience where it is possible to see large wildlife like antelope, elephant and buffalo. 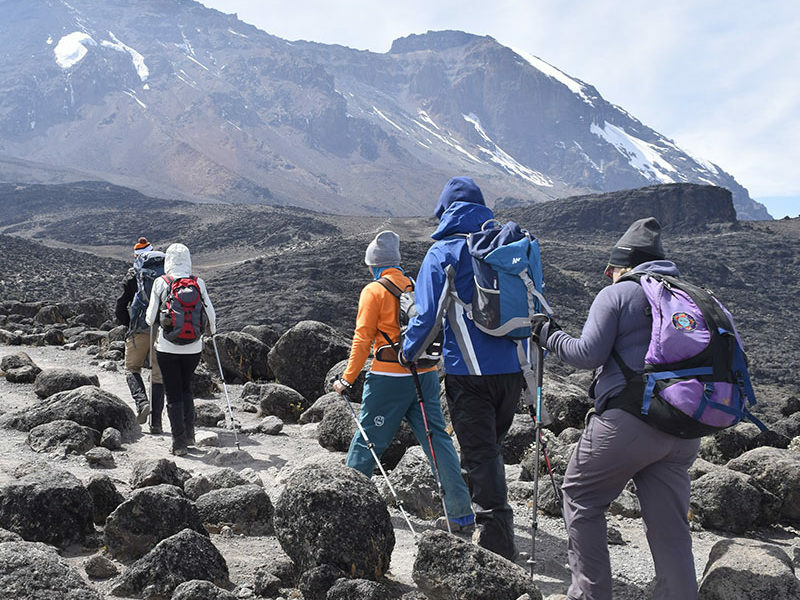 The Rongai Route is flatter than the other Kilimanjaro routes but because of its profile it does not offer trekkers good options to climb high and sleep low. It can be hiked on a six, seven or even eight day. 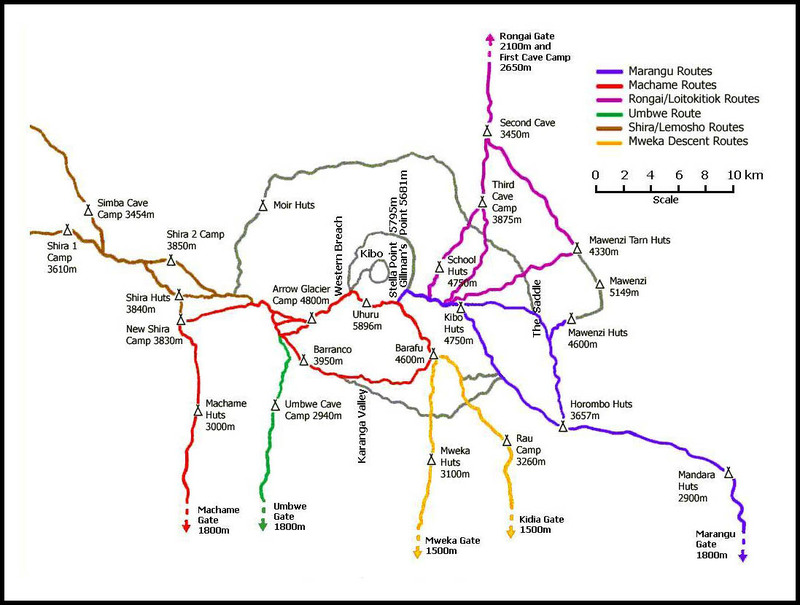 The seven or eight day Rongai routes are highly recommended as trekkers have extra days to acclimatize. We drive from Moshi to Marangu Gate for obtaining permits required for the summit and then take a short road trip to the Rongai Gate trailhead. We’ll come across numerous corn and potato fields and the climb gently through the forst areas which accommodates variety of wildlife which also includes the black and white colobus monkeys. The day will begin with a morning trek where we’ll steadily incline up to the Second Cave. 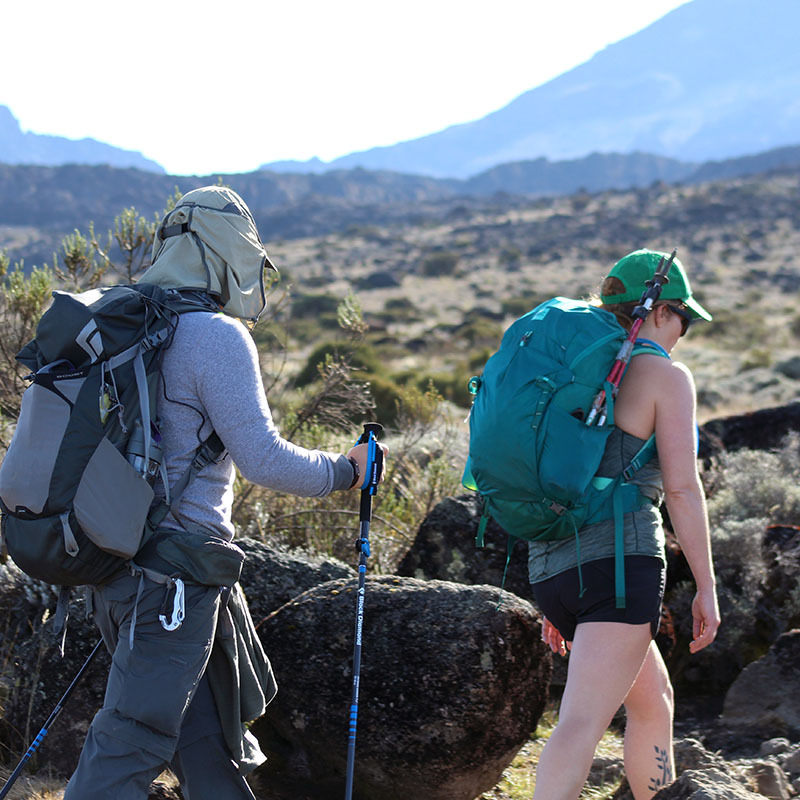 Continuing on with the trek, we pass through the moorland toward the jagged peaks of Mawenzi leaving the main trail behind. Kikelewa Camp will be our destination for the day where we’ll be spending our night. The hike today will be short and steep but along a grassy slope. It is surrounded by a vast wilderness area, and as we exit it, we enter the Alpine Desert zone and the landscape contrastingly alters. The campsites will be at the jagged areas of Mawenzi, Mawenzi Tarn to be precise. You’ll spend the rest of the day relaxing or exploring the surrounding area. You’ll be spending the entire day hiking at the Mawenzi Ridge which offer landscapes of Kibo and Mawenzi. This extra day is meant for acclimatization. After exploring the area to the fullest, we’ll then head back to Mawenzi Tarn to prepare our camp. Our camp, known as Kibo Hut, will be at the bottom of the Kibo Crater Wall. Once at the hut, we relax for the rest of the day and prepare for the upcoming summit day. Just past midnight, we’ll begin our summit to the top. This is considered the most challenging part of the journey when the wind and cold can be extreme at any period of the day. With short and frequent breaks, we ascend in the darkness. 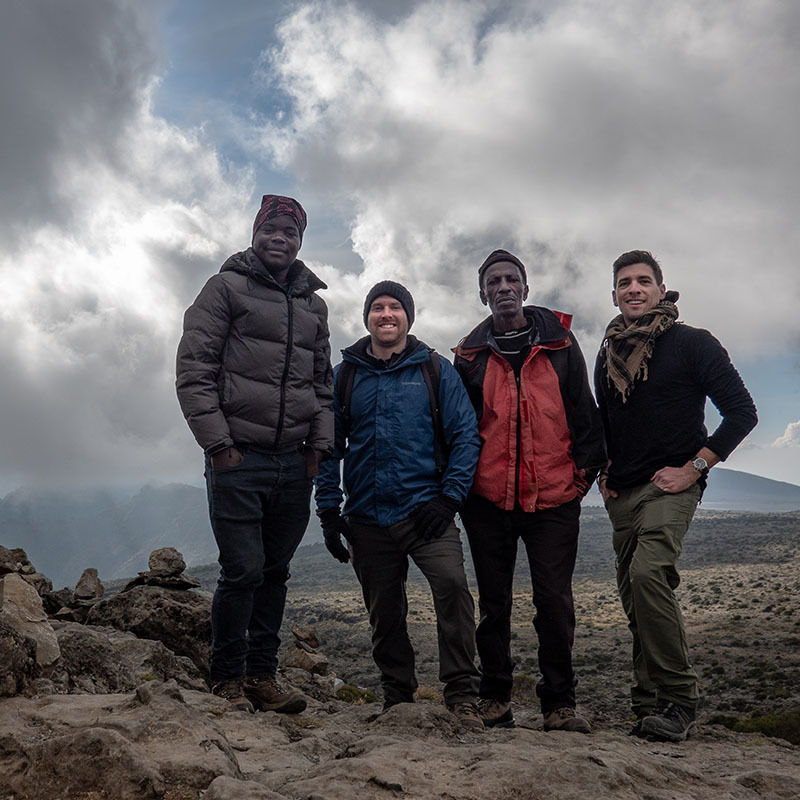 Once reaching at the Stella Point which is at an elevation of 18,900 ft, you’ll be rewarded with one of the stunning view of the sunrise coming over the Mawenzi Peak. Then we ascend all the way to the roof of Africa and highest point on Mount Kilimanjaro, the Uhuru Peak. After celebration of your accomplishment at the peak, we descend down to Horombo Hut. Later in the evening, we’ll be having our last dinner in the mountain and we’ll then go to sleep. On our last day, we have a long trek mostly downhill through the tropical rainforest. Once at the park headquarters at Marangu gate, we collect our summit certificates. Youth Adventures vehicle will meet us here and drive us back to the hotel in Moshi. The Rongai Route is the only trail that starts from the Northern, or Kenyan side of Mount Kilimanjaro. Because of its remote location the route offers trekkers a relatively unspoiled wilderness experience where it is possible to see large wildlife like antelope, elephant and buffalo.